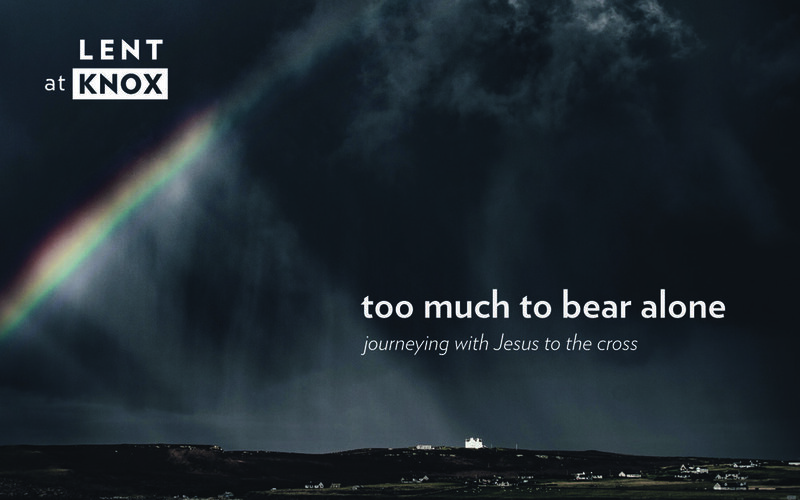 During our Lenten sermon series, “Too much to bear alone,” we are engaging the troubles we face in life. We recognize that many of these troubles overlap with the realm of mental illness. Our hope is to name this reality wisely and well, to use our language carefully in the context of worship and discipleship. To that end, your pastors thought it helpful to sketch a few contours of a biblical theology of mental illness. People who live with mental illness are made in and bear the image of God, fully belong to Christ’s family, the church, and are valuable members of the community in need of specific care. People who live with mental illness are known and loved by God, and nothing can take away this divinely created personhood or remove God’s image from them — not trauma, abuse or violence, not disabilities or dementia, not depression, psychosis or any disorder, not even suicide. People who live with mental illness are not people out there - they are family and friends, they are people we serve with and worship beside. They are us, the body of Christ. People who live with mental illness are not defined by their illness and bring unique strengths and experiences which enrich our community. So we celebrate the whole person and both stand with them in their suffering as well as learn from their resiliency. People who lived with mental illness are included in the story of faith provided for in scripture. We see biblical heroes like Moses, Elijah and Paul were so distressed that they considered suicide (Numbers 11:15, 1 Kings 19:4, Philippians 1:20-26). Jacob, Job and David all experienced what seems to describe depressive episodes (Genesis 37:35, Job 3:11 and Psalm 38:6). Jesus, too, expressed the full spectrum of anguished human emotion, including anger, distress and sorrow. People who live with mental illness experience disappointments, barriers, and fear as well as triumphs, resiliencies, and gratitude as they live with their illness. People who live with mental illness receive good gifts from God in care accessed via trusted individuals, mental health professionals, medication, and various treatment options. People who live with mental illness should not be made to feel isolated because of their experiences, or feel the need to keep their suffering to themselves. In worship and community life, it is healthy and necessary to name and lament our traumas, sorrows and losses without shameful whispering or painful silence, bringing all of what we experience into the presence of Jesus. People who live with mental illness, like many of us, can sometimes experience faith to be a source of strain and distress or find spiritual language confusing (e.g. wondering “why doesn’t God heal me?” or “Is anxiety a lack of faith?”). It is crucial to be nuanced in our language, choosing speech to show love, offer healing and to bless, while recognizing that spiritual practices can be a comfort, provide meaning, and be a source of coping for those living with mental illness. People who live with mental illness sometimes find it difficult to feel or experience God. We understand lament and complaint during difficult times as evidence of faith, not a lack of it. As a body of Christ, we can carry those living with a sense of God’s absence, holding hope for those who cannot hope within Christ-shaped friendships. Our troubles are too much to bear alone. Praise God for the body of Christ where we are held together in Jesus. Jesus is not ignorant of the many troubles of the world – but, rather, he sees through the trouble and the pain toward the cosmic realities of the abiding presence of his Father who loves him and the assured victory he has over, and for, the world that he made. In our Lenten sermon series, we look at Jesus as he deals with trouble in his own life and responds to it in the lives of others in his journey to the cross. How does Jesus speak peace to those who are struggling even as he prepares for the suffering he knows is before him? How might we receive Jesus’ words of peace in the difficulties of our lives, and how might we offer this peace to others who we meet in their suffering? We hope you’re able to join us through Lent on Sunday and into our special Holy Week series to learn together. Bring a friend and strike up an important conversation. In this world there are many troubles: Loneliness, cultural expectations, sickness and mental illness, anxiety, deep sorrow – but, in the face of all these, Jesus invites us to take heart. He has overcome the world. See Holy Week Services and more here. Consider deepening your spiritual reading through the resources available in the Knox Library. 80% of our materials are searchable in our online catalogue, and you can pick up your favourites on Sunday after the 11am. If you're at the 5pm service, feel free to ask staff member to check out the library. There are certain things that are so incredible that even those who desire to believe need to hear it again—perhaps need to hear it again and again. This “we will hear you again about this” attitude, this willingness to entertain even the most outlandish suggestions because they stir a certain hope of truth inside of us, is what the Christian practice of weekly gathering and weekly storytelling is all about. Every week we hear an incredible truth: that Jesus did die and rise again, that life to the full and without end is freely given, that God's love for this world is better even than the love that the world desires for itself, or that we are a people of truth and justice. But then we return to the world of dead-meaning-dead, of conditional love where nothing (not even lunch) is free, and the doubts creep in - the questions about who we are and who God is manifest themselves once more. This is natural. This is not to be ashamed of—and it is in courage that we say repeatedly “we will hear again about this.” Despite the scoffers in our midst and the world that is so sure we’re fools for considering anything but its ways to be true or right: we choose to hear stories of truth again, to consider them in fresh ways each week. We choose to come, even with doubts and questions, because there's something beautiful that draws us to this incredible truth. These Athenians who said “we will hear you again about this” were not uniquely incredulous or critical. 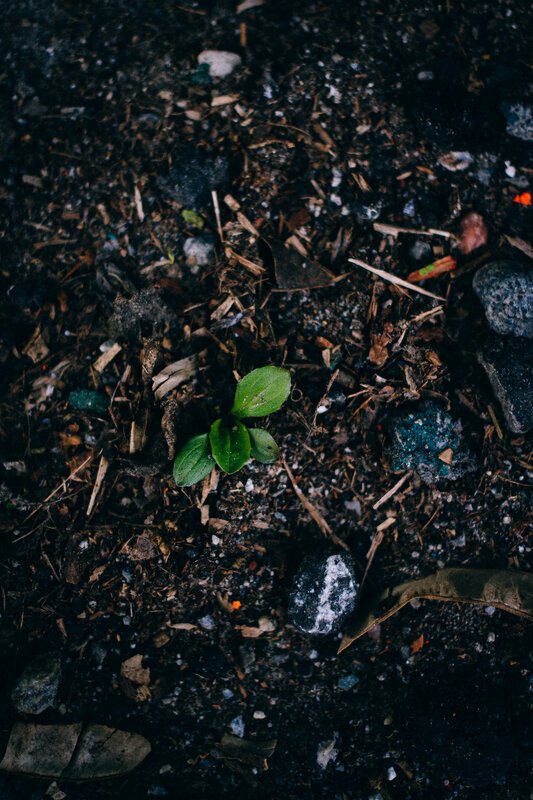 They were a model for us of simple faith lived out, models of a genuine response to the unfathomable nature of God’s good truth—the truths of stories we never dared believe before. Stories that give us reason for hope and longing for the future. This week, you are invited to come and hear again. Hear again about the kingdom of God that is being made real here, wherever you’re reading this, and everywhere where God’s people are. Hear again about how our church is following Jesus (even when you feel like you lost Jesus a long time ago), how we are loving the city (even though you are dismayed at the violence in our streets), and how we are serving the world (even if you feel overwhelmed at the thought of it.) Hear again these good truths for your soul. Whether it’ll be for the first time in a long time, or one of countless times remembering together. Come and hear. Come and see. Come and believe. I can’t wait to hear about God’s goodness again with you tomorrow. This post was first sent to our mailing list. The Building and Property Committee is very sorry to share that the Site Renewal Information Session that was scheduled for this Sunday, September 30th, has had to be postponed. We are waiting on some important information that directly affects the site renewal, and the Motion that we will be putting forward to the congregation to vote on. The Building and Property Committee is committed to putting forth a viable plan to renew Knox Church site and facilities, and we are unable to do so until we have the pending information. Please note, as a result of this, the Q & A Session on the Site and Facilities Renewal scheduled for October 18th is also being postponed. Both of these events will be rescheduled. The Committee thanks the Congregation for its patience and understanding, and continues to ask for prayer as we work through this complex and important site renewal process. Session approved reorganizing our pastoral staffing team with the goal for staff to equip and engage God’s people for ministry. The pastors and ministry directors will be leaders who build and lead ministry teams of volunteers who carry out the ministry. Each pastoral staff leader will focus the bulk of their efforts to equip, develop and disciple leaders, teams, and volunteers under their direction and supervision. Here’s an overview of the current pastoral staff team along with areas of ministry. Please contact any of these staff with your ideas, thoughts, and questions about ministry at Knox. We are eager to partner together! Children’s Ministry Interim Director - Betty Reinders: is responsible for children’s ministries from 0 - gr. 8, including nursery, Tiny Tots, 252’s and Junior High Ministry. International Ministries Interim Director: Colin McCordic: provides leadership for English as Second Language ministries and International Bible studies. Young Adult Ministry Interim Director - Fiona Jack: is responsible for providing leadership and discipleship for our University ministry, engaging students in the life of Jesus. Senior Minister - Rev. Dr. Phil Reinders: has primary preaching and teaching responsibilities, and provides key leadership for the overall Knox ministry vision and strategy, working closely with staff and Session. Assistant Minister - (soon to be Rev.) Nick Renaud: shares preaching responsibilities, provides pastoral care and prayer ministry leadership, as well as ministry supervision to senior ministry staff (other than Sr. Minister). Worship Pastor - Kristen Westwood: oversees all elements in the design and development of dynamic, biblical worship across all worship services, connecting worshippers to the story and presence of God, while developing leaders and a culture of participation within the worship ministry. Discipleship Pastor - Ashlee Campbell: provides ministry leadership to Discipleship Ministries at Knox, including Home Church and Adult Discipleship programming, along with Youth Ministry oversight and direction. Connections Pastor - Peter de Koning: this newly developed staff position is responsible for creating a culture of welcome and hospitality for all guests and church members, ensuring people are incorporated into the Knox Church family and shepherded into engagement in the body life of the church. Until December 2018, Peter will continue in a half-time role as Communications Coordinator. In January 2019, Peter will add the role of volunteer development, providing leadership for equipping, training and developing ministry volunteers. Last week, our church and a wide-ranging camp community said goodbye to Overnight Camp. A decades-long ministry that bore sweet and plentiful fruit in the lives of many. Church, I cried during our last morning worship watching kids aged baby to teens singing and dancing about God’s goodness and faithfulness. We were all smudged with dirt or still wet from polar bear dip swims. We were all terribly sleepy from the long days of activity and sunshine. We were all moved by God’s Spirit to worship him and give him the glory for an incredible week, for an incredible legacy, of overnight camp. They put a sign out. a decade before you showed up. there is no sinking in, no burrowing under. Why did you decide to try Alpha? I heard about Alpha through TTC ads, a sign on the lawn of St. George the Martyr, and, most importantly, after being invited by close friends who are members of Knox and were hosting a table. I wanted to try Alpha for a variety of reasons. I had, a few years prior, committed my life to Jesus, but despite this commitment and much “shopping around” I hadn’t been able to enter a church community. Also, a couple months before the start of Alpha I had been diagnosed with chronic trauma, and not only the symptoms but the shock of the diagnosis meant life was overwhelming and almost unmanageable.